Boundless Breaks is the holiday arm of the Civil Service Motoring Association. Holidays are available to all but members get a very good discount. Boundless Breaks have Whitemead Holiday Park in the Forest of Dean and Holiday cottages in the Lake District, Cornwall and the Cotswolds. 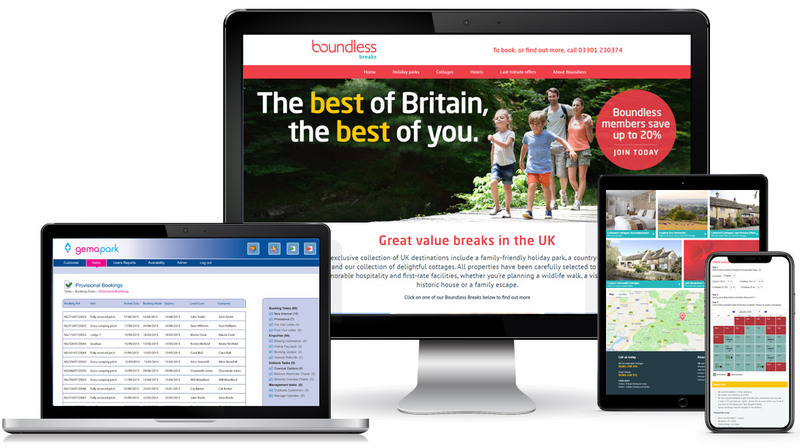 Boundless Breaks are using GemaPark and Netguides Websites to promote their holidays and provide online booking and booking management at their various locations. BRIEF: A booking system that can provide online booking across the range of options and park management at the locations. Additionally, new responsive websites to promote the holidays and make them easier to book online while still providing a member discount facility.